With all the post-holiday sales coming up and seasonal merchandise going on clearance, it's the perfect time to pick up those overdue gifts or enjoy shopping for yourself. In my case, I'm excited to redeem my digital GiftCard from Target. 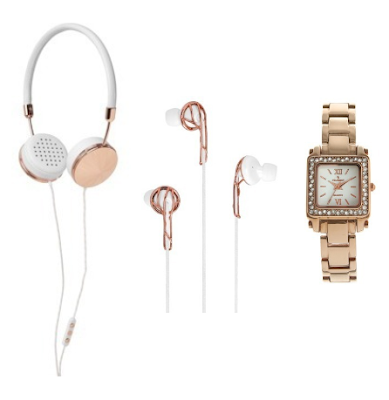 There are a ton of items on my wish list, from beauty and tech accessories to kitchen & dining items. 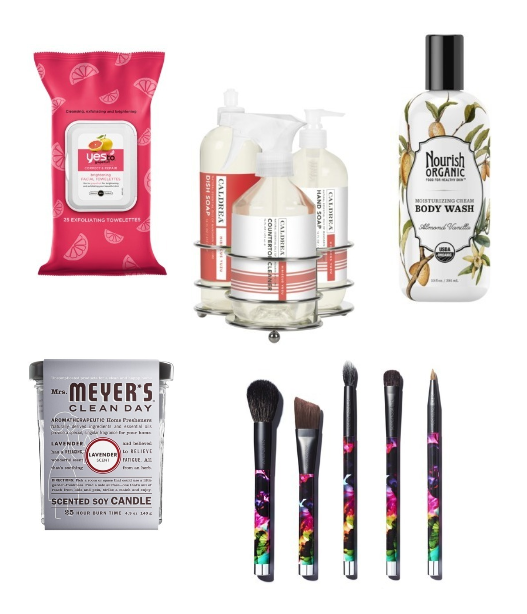 Some of my favorites include Yes to Grapefruit Brightening Facial Towelettes ($5.99) and the Sonia Kashuk Limited Edition Brush Couture 5pc Brush Set ($14.99). I'm obsessed with Nourish Organic Body Wash - Almond Vanilla ($9.99), and also love Nourish Organic's Coconut & Argan Body Wash ($9.99) and Lotion, which launched at Target this past fall. My go-to products for cleaning supplies and candles include the Caldrea 3 Piece Hibiscus Yuzu Kitchen Set ($19.99) from the Caldrea Essential Collection exclusively at Target, and Mrs. Meyers Lavender Candle ($6.99) and Mrs. Meyers Clean Day Basil Laundry Detergent ($15.99). 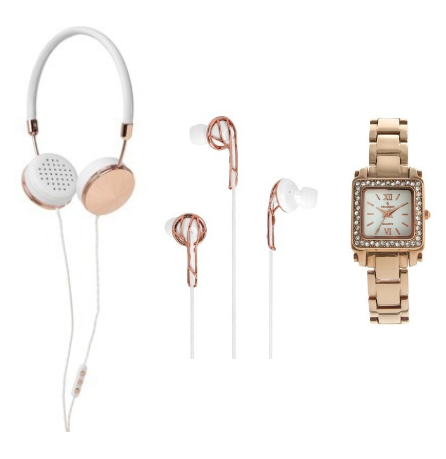 Rose gold will be an ongoing trend into 2014, with some of my top picks including Frends Layla On-Ear Headphones ($149.99), Frends Ella In-Ear Headphones ($99.99) and Peugeot Swarovski Crystal White Dial Watch ($59.99). For kitchen & dining, the Fred 6 Piece Measuring Cup Set with a nesting doll design ($11.99) is a cute way to measure your ingredients. 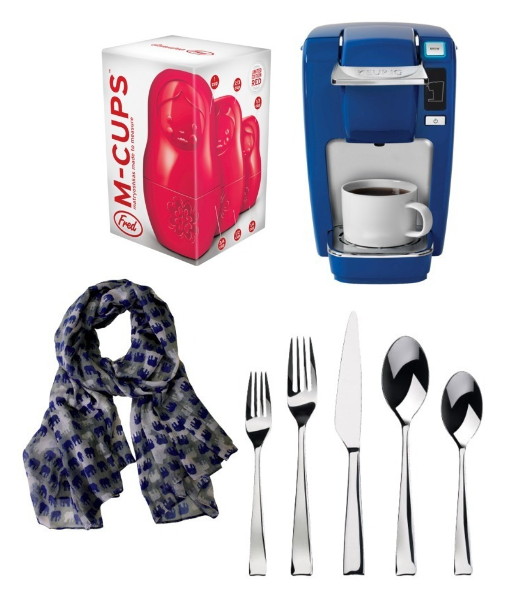 For my Cobalt Blue fix, I'd go with the Keurig K10 Mini Plus Brewer ($99.99). I've been meaning to get a new flatware for quite some time, like this Gourmet Settings Strand 20-pc set. One of my favorite accessories is this Oversized Elephant Scarf ($19.99). Shopping with a Target digital GiftCard is definitely more convenient then carrying around a gift card or worrying about misplacing it or forgetting it at home. It can be used online or in-store, and can easily be scanned from my phone. If you're gifting a digital GiftCard, it's also as easy as sending a text message or email. Thanks to Target, one lucky reader will randomly be selected to receive a $25 Target digital GiftCard to go shopping! To enter, leave a comment on this post with your favorite Target gift item. I'll be choosing a winner on Tuesday, January 7th at 11:59pm ET. This post is brought to you by Target, but all opinions and content are my own. Follow along with #MyKindOfHoliday on Twitter, Instagram and Pinterest. Oh my gosh so many good things to choose from and I AM a scarf-aholic especially ones from target BUT I am going to have to try that nourish line ..... it sounds DiVINE ! I love target - I really like the elf eyeshadow kits! Congrats on winning the $25 Target Digital GiftCard! You should have already received it at your email address! The Threshold Picture Frame - Blue Grey - 8X10 - is a great gift. My favorite gift to pick up at Target are their seasonal picture frames! Hi Patis2 - it's been a week and I haven't received a response or email from you and must have a winner to send the $25 Target Digital GiftCard to. Please email me or respond by end of day today, 1/14 at 11:59pm or I will have to choose another winner. Thank you! Oh - that Elephant Scarf is cute and would look great with my new gray sweater. My favorite would be the Real Techniques Cosmetic Brush Set - Sam's Picks! Those headphones look awesome! I'd love to do some Target shopping with a gift card! Congratulations patis2! You have won the $25 Target Digital GiftCard giveway!